If you are thinking of adding lobby signs to your place of business, you have plenty of options available to you. From simple signs to more vibrant options, a variety of styles exist to make any space open up. Lobby signs communicate several things. They provide insight into the company’s brand and messaging. They also inform visitors that they are in the right place. 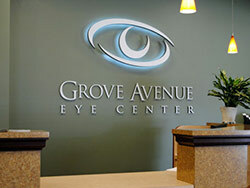 One of the best ways to communicate a message using lobby signs is to utilize your company’s brand name or logo. This can help communicate the business name, more about the company, and what you offer. For example, take a look at some of the lobby signs we’ve created. Here’s one for Digital Dental Arts Laboratory. The elegant channel lettering surrounded by a well-lit image of a tooth. What better way drive home dental services than a clean, simple, and elegant tooth-oriented design? The green halo-lit lighting behind this Turf City lobby sign actually provides the feeling of turf, while ensuring that the brand name stands out against the wall behind it. Very eye-catching. This Kal Krishan Consulting lobby sign in Los Angeles is another example. The design is sophisticated and formal. The company’s name uses blocks and serif lettering, appealing to a corporate customer. The sign styling projects a sense of premium quality and professionalism, which is exactly what the company wants to project. When you’re considering adding lobby signs to your business, contact us. We can help you decide on what sign type and styling might be best for your business. Whether you just want to use your logo and/or business name or have something special you need to be designed, we can help. Take a look at our office sign gallery then contact us to see how we can best help your business.